Handsome Ludo is still a big puppy at around 18 months old and is looking for a large breed experienced home (or foster) ASAP. 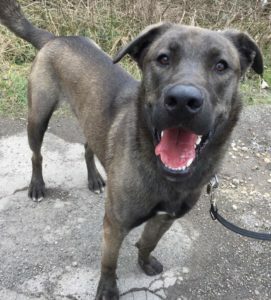 Ludo is really friendly with everyone he meets, and now he has found his feet, his confidence has grown hugely and he is very playful, loving and a big goofball! 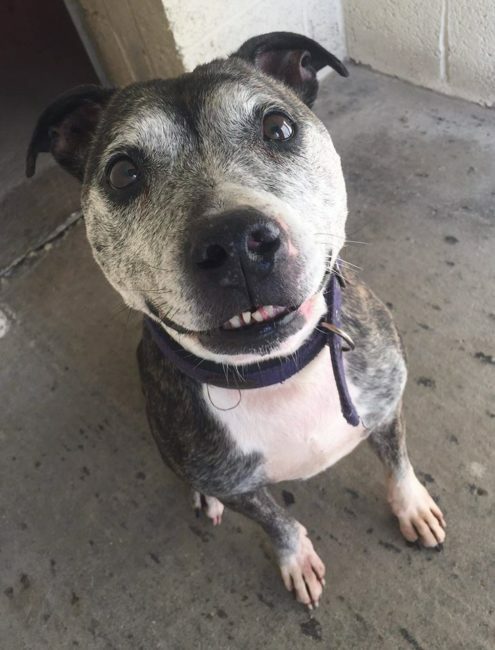 He is great with other dogs, but can be too much for some dogs in the home, we think a dominant female dog who will put him in his place and not allow him to rule the roost would be the best match! He can live with cats, and isn’t bothered by the horses around our kennels – he basically loves everyone and everything! He absolutely loves spending time outdoors and doesn’t like being shut inside at all when he’s left alone, so his dream home would be where he could have access to a VERY secure, safe outdoor space (where he could go inside again if he wanted) when left alone. 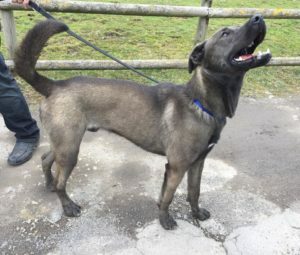 He bonds very strongly with people and will howl/toilet in the house due to his anxiety if he is left alone inside, so needs a home where he will not be left at the moment and gradually be taught it’s OK to be on his own for short periods. We are very confident this will be something that will improve a lot but will need patience! He will be incredibly loyal, loving and has such a fantastic character. He does seem to be housetrained, though (as long as he’s not left alone). 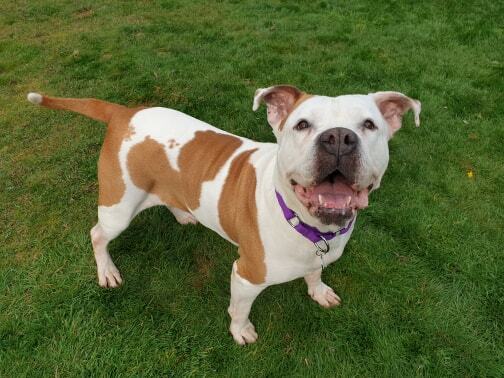 He loves his walks, and walks beautifully on the lead, but his recall when off the lead is very hit and miss as he is a stubborn lad who will run away if the mood takes him! He is such a special boy, and we are looking for a home with large breed experience who have the space and time for a boy like Ludo. This entry was posted in Good with cats, Good with dogs, Good with kids, Happy Endings, Large, Male by Amanda HYPS. Bookmark the permalink.